1.1 Thursday, November 15, 7:00 – 8:30 p.m.
Thursday, November 15, 7:00 – 8:30 p.m.
Ms. Wilson will discuss how disability intersects with race, gender, and several of the political issues of the day as well as the need for social justice advocates to recognize and fully incorporate disability and disability rights into their work. Britney Wilson is a staff attorney/Dodyk Fellow at the National Center for Law and Economic Justice (NCLEJ) in New York. Her work focuses on the intersection of poverty, civil rights, and racial justice. Before NCLEJ, Britney was a Bertha Fellow at the Center for Constitutional Rights (CCR), where she worked on issues of discriminatory policing, including Floyd v. City of New York, the landmark case that successfully challenged the NYPD’s stop-and-frisk practices, as well as on issues of immigration and voting rights. 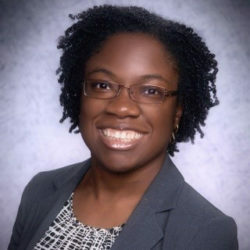 She began her legal career as a Marvin M. Karpatkin Fellow in the Racial Justice Program at the American Civil Liberties Union, where she worked on a range of racial justice issues from the school-to-prison pipeline and the criminalization of poverty to fair housing and inclusion in higher education. If you are not familiar with Britney, You can follow her twitter account at @labelleverite or listen to her audio -essay The Longest Distance Between Two Points.